Sunday Evening Video: JoeLanta Is Coming! 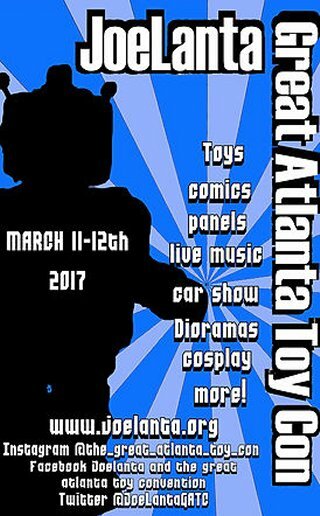 We are less than six weeks away from one of your PopCulteer’s favorite events of the year, JoeLanta and the Great Atlanta Toy Convention. Open to the general public on the weekend of March 11 and 12, with special events for people who purchase the Commander’s Package beginning March 8, this is the coolest toy/pop culture event that I go to. Visit the website for information on special attendance packages, hotel deals, and the general admission, too. Above you see the recap video for last year’s edition of JoeLanta and the Great Atlanta Toy Convention. It took me months to complete this clip due to isues arising with my eyes during my treatment for Myasthenia Gravis, but with the PopCult peepers on the mend, this year I promise we’ll have the recap up in a more timely manner. Below you will see the recap of the 2015 edition of JoeLanta, which was yet another fun adventure. I will be making the trip down South again this year, video cameras in tow, and it’d be great to see a crowd of PopCult readers down there with me. Vendor tables are officially sold out, but there’s a chance that one or two may open up before the show, potential vendors should contact the organizers through the website to get on a waiting list. There are always special guests, artists and toy experts on hand, like Larry Hama, the creator of The Real American Hero GI Joe, fopr instance. This year there will be an entire room devoted to panels and screenings from the Transformers experts at Radio Free Cybertron. A full intinerary can be found at the website, with more cool stuff being added every day. You might want to check the Facebook Event page for the lastest news on guests like The Possum Kingdom Ramblers and dealers coming in from around the world. 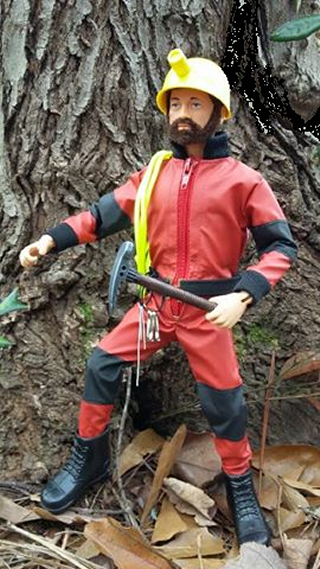 This year’s convention figure for the folks who get the Commander’s Package is a cool Cave Explorer. That’s him, seen at left. Commanders will also have early access to the dealers, a special “Lobby Swap,” a concert by Radio Cult, plus they’ll get to see the JoeLanta Film Festival, curated by Tim and Lisa Weedn and they can participate in the parachute drop. 2017 will be my fifth consecutive trip to Atlanta for the big show, which had previously just been a pipe dream for your PopCulteer whilst he was toiling away as a caregiver for elderly relatives. I will remain forever grateful to JoeLanta bigwig, Buddy Finethy for calling me early in 2013 and slightly twisting my arm to get me to go, and also to my beautiful wife, Melanie, for being the world’s best travel partner (and a very indulgent spouse). I plan to bring PopCult readers plenty of photos and videos, but it’s much more fun in person.